The Isle of Man wakes up to great smelling coffee! This morning, the Isle of Man woke up to the great distinctive smell of fresh morning coffee when readers opened their copies of the Isle of Man Courier. 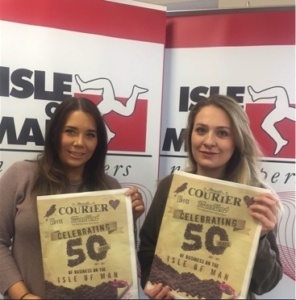 The innovative campaign was achieved by the publisher, Isle of Man Newspapers, working with the Newsprinters commercial team, advertisers and the Knowsley print team. Photo: (left to right) Savannah Savage: Media Sales Advisor -I.O.M. Newspapers and Emma Mann, Media Sales Consultant I.O.M. Newspapers.